Just knowing how to play a chord is never enough to make good music. Voice leading--moving individual chord voices smoothly from one chord to the next--is an essential skill for jazz guitarists. 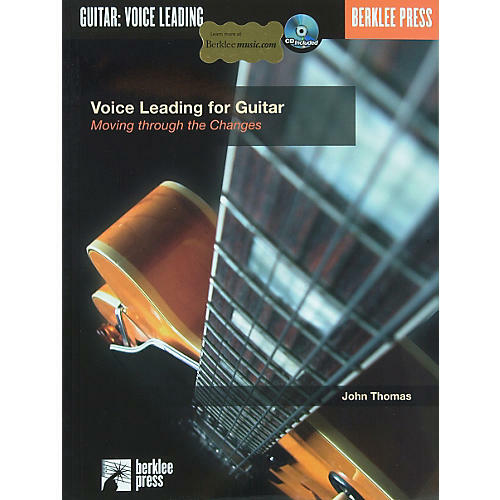 Voice Leading for Guitar by Berklee associate professor of guitar John Thomas shows you how to voice lead both chord tones and tensions, and will help you add a new level of sophistication to your music. This book is designed for intermediate to advanced guitar players. The accompanying CD features jazz tunes, blues and rhythm changes that you can play along with. 144 pages.